1 ) When will the Tridhaatu Monsoon10KRun 2018 take place? 2) When can I register for Tridhaatu Monsoon10KRun 2018? Registrations for the event will commence on 28th March 2018. 3) What are the events at Tridhaatu Monsoon10KRun 2018? 4) Is it a timed event? Yes, Computerised timing chip will be provided to all 10Kms Road Race participants. 5) What time will it start? 6) How much is the Registration fee? 7) What does the Registration fee cover? 10Kms Road Race- The fee covers Entry to the Event, Official Race Tshirt, Timing Chip, Goodie Bag, Energy drink En-Route,Race BiB , a Beautiful Finishers Medal, E-Certificate and Breakfast with choice of Beverages including Beer. 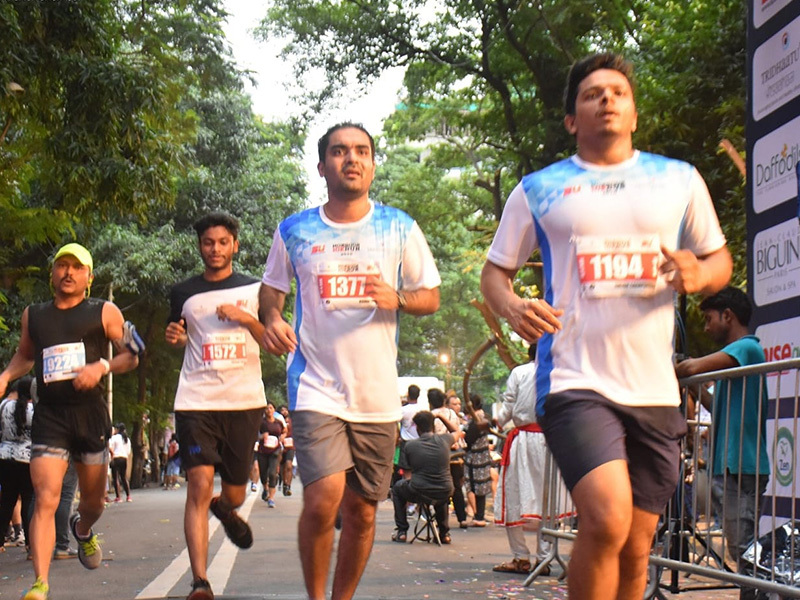 5Kms Spirit of Chembur Run - The fee covers Entry to the Event, Goodie Bag, Energy drink En- Route,Race BiB , a Beautiful Finishers Medal and Breakfast with choice of Beverages including Beer. Online registration can be done through our ticketing partners by clicking here. 9) Will the Tridhaatu Monsoon10KRun 2018 certificate enable me to participate in all the Major marathons in India? - The Tridhaatu Monsoon10KRun 2018 route is professionally measured by using Jones Counter. - The timing will be recorded using RFID technology. - The provisional results will be available within 12hrs of the event conclusion. - Adequate anti cheating mechanisms and split point timing mat will be deployed during the race. 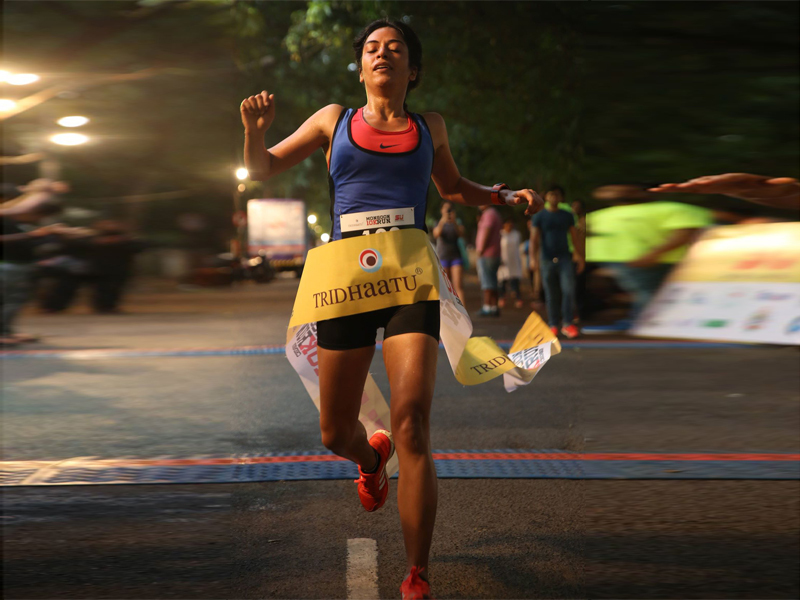 10) Will Tridhaatu Monsoon10KRun 2018 E-certificate be accepted while applying for other races in India? Tridhaatu Monsoon10KRun 2018 is affiliated with MSDAA and conducts the event as per their guidelines. Tridhaatu Monsoon10KRun 2018 route has been professionally measured with Jones Counter. Tridhaatu Monsoon10KRun 2018 timings are recorded by computerised timing chip. The E-certificates are uploaded within 48hrs after the race. 11) What is the last date of registration? Registration will close on 28th July 2018 by 12.00 midnight OR when the maximum limit of Running Places are filled in, whichever is earlier. 12) Where does the race start? Where does it end? Chembur Gymkhana - 6th Road, Near Ambedkar Garden, Chembur, Mumbai, Maharashtra 400071. 13) Can I transfer/cancel my registration? Will there be any refund? 14) Oops! I have made a mistake in one of my registration fields. How do I correct it? Please send us an email info@sportsunited.in with the correct details and we will update it. 15) There was a problem during registration. I have been charged but I did not receive a confirmation. What should I do? Under exceptional cases, in case the transaction failed at the payment gateway stage, and if the money was debited but a confirmation was not generated, the money will be credited back to your account within 3 working days automatically. However, please email us at info@sportsunited.in with details of your registration – date of registration, name and your mail id and we will follow up to ensure the problem is tracked and dealt with. 16) When and where can I collect my Race number/BIB and Race Kit? Please ensure that you collect your bibs on the dates mentioned above. Bibs will NOT be posted to individual addresses nor be distributed on race day, i.e. 5th August 2018. Once you register for the event, you will receive a confirmation payment receipt. Please bring along a printed copy of the receipt. Alternatively, you can save the receipt on your smartphone and show it to our representative at the registration counters. Please note that this is applicable only if the registered participant is visiting the registration counters in person. Please carry a proof of identity in original, for example, your Aadhar card, Passport, Voter ID card, or PAN card, for verification purposes. Ensure that you collect the original documents from our volunteer before exiting the counter. o A printed copy of the email confirmation. o Photocopy of your (the participant's) proof of identity, for example, your Aadhar card, Voter ID card, Passport, or PAN card. o A photocopy of his/her proof of identity, for example, his/her Aadhar card, Passport, school/ college identity card, Voter ID card, or PAN card. Please note that your entry to this event is not transferable under any circumstances. 17) Can I collect my Race kit on any other day ? Can my friend collect it for me ? Race Kit can only be collected on the Bib collection days, No bibs will be given out on Race day. 18) How much is the Prize money? 19) What are the Age categories for the various events? There is no age category for 5kms Spirit of Chembur Run as it is a Fun Run. 20) How should I train for the event? Are there any training runs scheduled? 21) What should I do if I have any other questions?